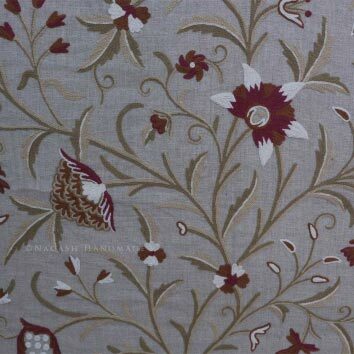 With our expertise in the industry, we are engaged in offering the best range of Danzdaar Crewel Wool Embroidered Linen Fabric at very affordable rates. We understand that the use of finest grade raw material brings forth high quality product line. In addition to this, we make sure that the material is sourced from the reliable places only.